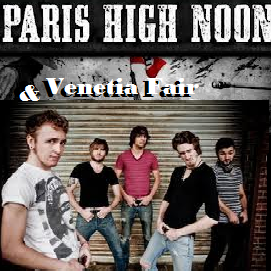 Cheap Hooch Presents: Paris High Noon & Venetia Fair tear it up!! Nazis, Cowboys and naked dudes...only on Cheap Hooch Radio!!!! That's right, Trent Tano reads chapters from his new novel Paris High Noon along with the lovely Morticia Monroe and as if that wasn't enough, the boys of Venetia Fair drop by to drop their pants. Don't miss this CRAZY episode marking the return of your dj Holly Hooch! !